Die vyfjarige seuntjie wat ‘n maand gelede die jongste pasiënt in Afrika geword het om ‘n meganiese hart, bekend as ‘n Linker-ventrikulêre ondersteuningstoestel (Engels = LVAD) te ontvang, vorder goed en is oppad huis toe. Die LVAD is so groot soos ‘n gholfbal en het batterye wat gereeld herlaai word. Mnotho Mndebele en sy ma, Mbali Mndebele. Mnotho Mndebele, wat aan gedilateerde kardiomiopatie ly waar sy linkerventrikel ernstig beskadig is en dus nie voldoende bloed deur sy liggaam kon pomp nie, het vier maande lank in ‘n kritieke toestand in ‘n hart-waalsaal op ‘n skenkerhart gewag. Maar kinder-skenkerhart word baie selde verwys – dis asof Suid-Afrikaners nie besef dat Suid-Afrika twee wêreldklas sentra vir kinderhartoorplantings het nie, sê hartchiriurg dr. Viljee Jonker. Hy het die gholfbalgroottte meganiese hart in Mnotho, wat 17 kg geweeg het en die kleinste moontlike gewig is vir die LVAD, aan sy linkerventrikel gekoppel en die ander punt aan sy aorta sodat die bloed deur sy linkerventrikel tot in die toestel vloei, en vandaar gepomp word tot in sy aorta sodat die bloed deur sy liggaam kan vloei. Die LVAD is as ‘n oorbruggingsbehandeling tot ‘n skenkerhart beskikbaar kom, aan Mnotho se hart gekoppel. Dr Viljee Jonker het die span gelei wat die inplanting gedoen het. Die operasie is by die Maboneng Hart Instituut in die Netcare Sunninghill Hospitaal gedoen. Dr Jonker is tevrede met Mnotho se vordering. Mnotho gaan vandeesweek huis toe. Die LVAD word aan die onderpunt van die linkerventrikel gekoppel, en pomp dan die bloed in die aorta in. Volgens dr. Jonker sal Mnotho kan skool toe gaan. Die hartpompie het ‘n battery wat gereeld gelaai moet word. Ons het op 28 Junie 2017 in Gesondheid op RSG met dr Viljee Jonker oor Mnotho gesels waar hy die nuus bekend gemaak het oor die eerste koppeling van die LVAD aan ‘n klein kind in Afrika. Wednesday, 2 August 2017 A five-year-old boy from Newcastle in KwaZulu-Natal has become the youngest patient on the African continent to undergo a lifesaving mechanical heart implantation. Mnotho Mndebele, who had been in a critical condition in intensive care for four consecutive months prior to the ground-breaking operation, had a heart ventricular assist device (HVAD) implanted at Maboneng Heart Institute situated at Netcare Sunninghill Hospital, to keep his severely damaged heart functioning. Dr Viljee Jonker, a cardiothoracic surgeon who led the implantation team, said that he was delighted with Mnotho’s progress since the procedure was performed a month ago. According to Dr Jonker the young fellow will return home to Newcastle this week. 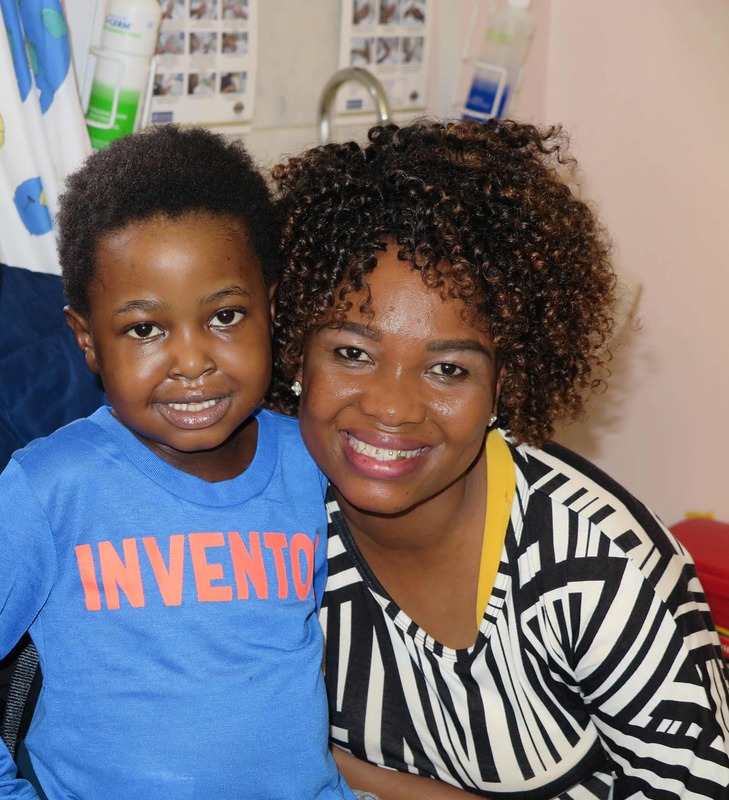 At five years of age and having weighed only some 17 kilograms, Mnotho is the youngest patient in Africa, and one of the smallest and youngest in the world, to have had the benefit of a HVAD mechanical heart implant. He suffered from dilated cardiomyopathy (DCM), a condition in which the left ventricle of the heart becomes enlarged and weakened and is no longer able to pump blood properly. Dr Jonker says that the cause of DCM can often not be determined. “Mnotho had been on the heart transplant list but paediatric heart donations rarely become available. He had also been in and out of intensive care units at various hospitals in the year leading up to the operation. In his case, we opted to use the HVAD as a bridge to a future heart transplant. In reality, it is a lifeline until such time as a matching donor heart can be found for him to undergo a biological heart transplant,” explains Dr Jonker. According to Dr Jonker, increasingly more compact and efficient mechanical hearts are being developed. “They are being used more and more throughout the world as either a bridge to a biological heart transplantation, or even as an alternative to transplantation where this is either not possible or an option. Tragically, many people are not aware that we have world class paediatric heart transplantation and repair programmes, such as performed at the Maboneng Heart Institute, in place in South Africa,” observes Dr Jonker. “Far too many children throughout Africa are sadly still left to die from conditions such as cardiomyopathy, a chronic disease of the heart muscle, because it is thought that nothing can be done for them. In fact, as this particular case illustrates, with early and appropriate medical intervention the great majority of children suffering from such conditions can be saved, often ending up living a normal life. “There are numerous highly effective technologies and procedures available today to assist in the treatment of these conditions at specialised centres, and more awareness of this should be raised, so that children in need will be able to receive treatment timeously,” says Dr Jonker. The paediatric cardiac transplantation programme of Maboneng Heart Institute largely focuses on assisting children whose only viable hope for survival is major congenital cardiac surgery, a heart transplant or mechanical heart implantation. The Institute not only aims to provide appropriate management of advanced heart failure in paediatric patients and to prevent sudden cardiac events, but also surgically manages the great spectrum of congenital and adult cardiac disease. In addition to its transplantation and artificial heart programmes, the Maboneng Heart Institute offers surgery covering the complete spectrum of congenital and acquired cardiac disease. This includes any inborn or acquired cardiac defects as well as a paediatric electrophysiology unit for the diagnoses and treatment of heart rhythm disorders. 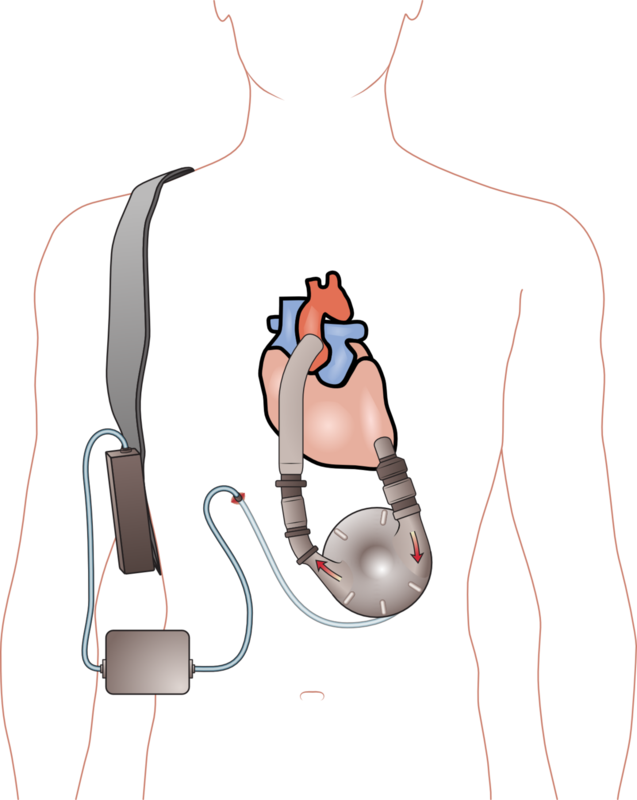 This enables young patients to be fitted with pacemakers or internal defibrillators to maintain normal heart rhythms, where this may be necessary.